Agency attorneys interfering in the federal discrimination complaint process is still a major problem, government civil rights leaders said Thursday, urging the Equal Employment Opportunity Commission to clarify its guidance on the issue this year. The Office of General Counsel in some agencies continues to intrude in the EEO complaint process during investigations, reviewing the affidavits of management officials involved in cases and vetting responses from witnesses before the formal hearing phase, said panelists at an event sponsored by the National Coalition for Equity in Public Service. 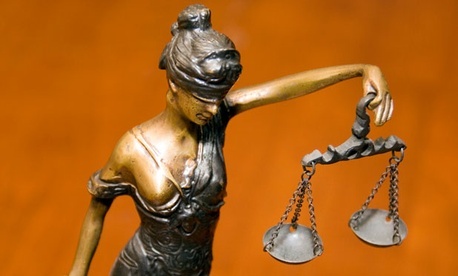 The situation creates a conflict of interest in which an agency’s legal counsel assists managers accused of discrimination or other wrongdoing by employees during the fact-finding portion of the complaint process. Not every general counsel is guilty of the “intrusion challenge,” said Jorge Ponce, co-chairman of the Council of Federal Equal Employment Opportunity and Civil Rights Executives, but it’s been a continuing problem in the executive and legislative branches since 2003, undermining the EEO complaint process. Jo Linda Johnson, EEOC’s director of training and outreach division in the Office of Federal Operations, said such interference, including coaching witnesses and reviewing affidavits during fact-finding, was not appropriate. Johnson said guidance exists, but acknowledged it could be better. She said many EEOC officials are eager to release new and improved rules on maintaining independence during the complaint process, but an announcement is not imminent, although a draft document is circulating. The participation of agency counsel should be limited, said Ernest Hadley, president of the Federal Employment Law Training Group at Hadley law offices. It’s appropriate for attorneys representing agencies to review documents or agreements involved in alternative dispute resolution, for example, but outside of that, “I see no role until there is a request for hearing,” Hadley said.